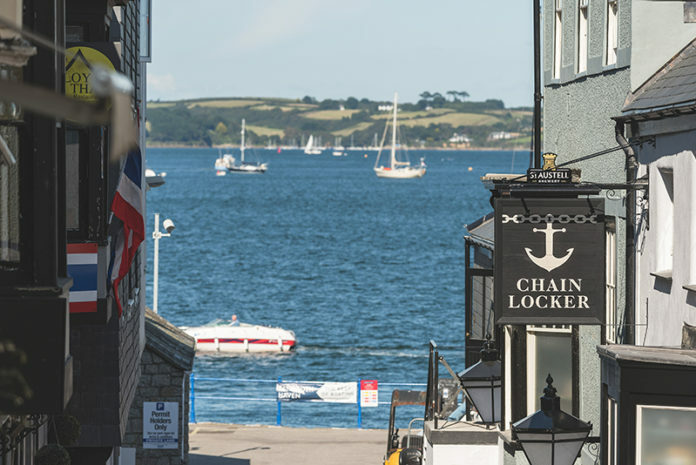 The coastal town of Falmouth in Cornwall, famed for its vast deep water Harbour and culture-rich town centre, is home to recently refurbished 16th-century inn, The Chain Locker. Believed to be one of Falmouth’s oldest buildings, The Chain Locker has been serving up regional beers and West Country cider for as long as any local can remember. 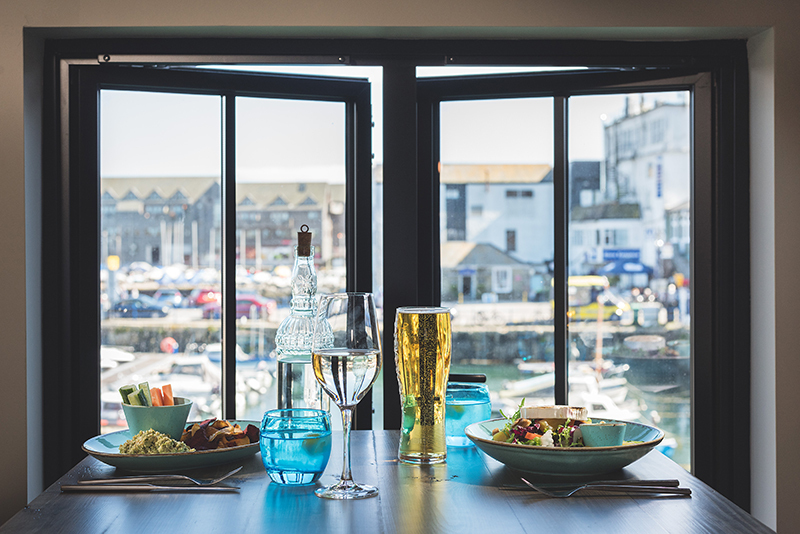 Following the recent renovation by Cornwall’s St Austell Brewery, it adds six stunning boutique bedrooms and a stylishly finished dining room with panoramic harbour views to its unique offering. 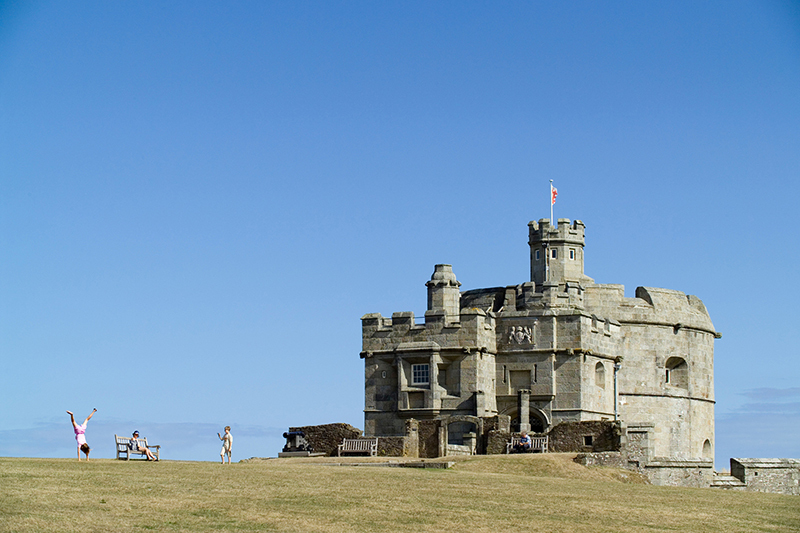 Falmouth has had something of an overhaul itself in recent years, with exciting new bars, restaurants and galleries sitting alongside the historic Pendennis Castle and the award-winning National Maritime Museum. 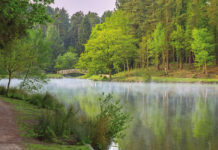 The Chain Locker offers easy access to all of these attractions from its great waterside location at the heart of the town. 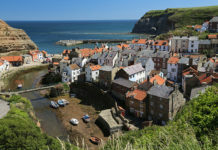 Also, within easy reach is the South West Coastal Path which takes you along dramatic hillsides to beautiful Swanpool and Maenporth beaches. For walkers looking for a place to refuel, The Chain Locker is the perfect stop. 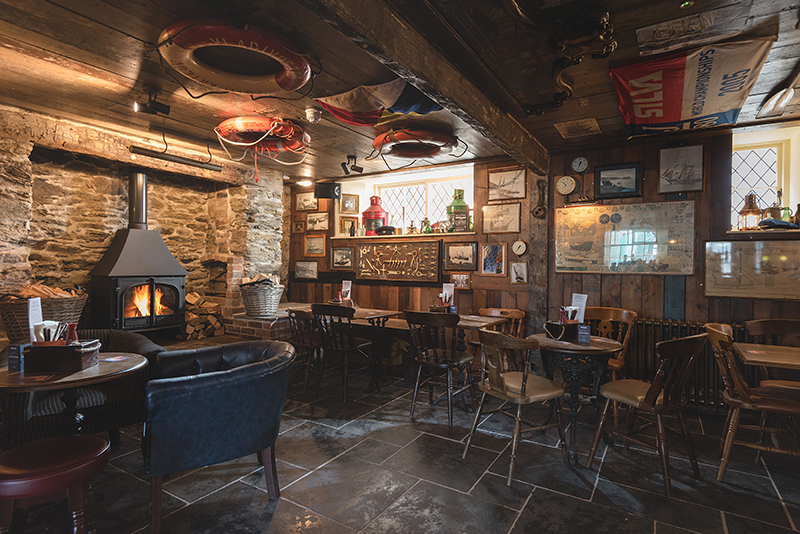 This cosy pub with memorabilia hanging from every wall still serves a host of local beers and ciders as well as a good selection of wines and the excellent Brewer & Bean coffee exclusive to St Austell Brewery. 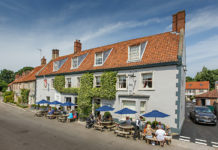 After a drink in the pub, the real treat comes on going upstairs to what was until recently a store room and is now a fantastic dining room awash with light and full of beautiful pieces of carefully selected furniture and décor. 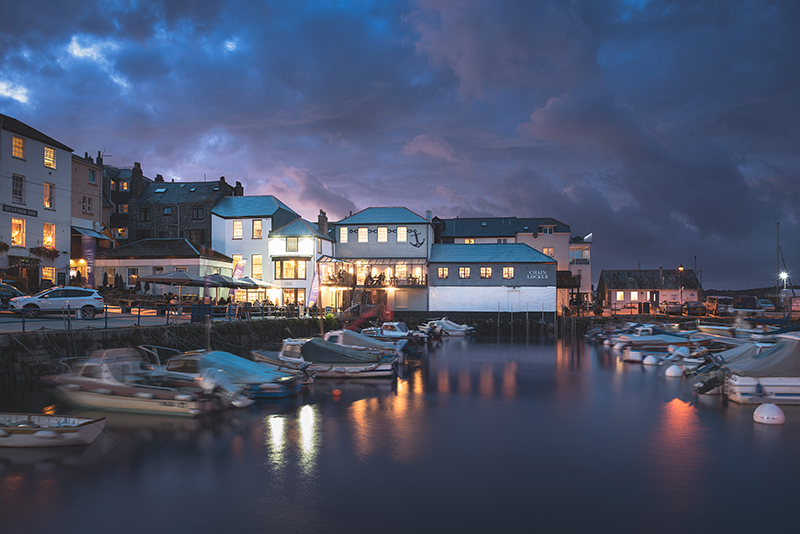 Dinner guests can sit at the window overlooking Falmouth Harbour, on a balcony over the water, or in one of several cosy leather booths, where fresh local seafood and hearty Cornish pub fare is served up by friendly and knowledgeable staff on fabulous artisan tableware. Our party indulged in fresh oysters with a home-made Mignonette, followed by succulent local Mussels and mains including a wonderful braised beef dish with celeriac mash and the pie of the day with heaps of crispy chips! We were so full up on the flavoursome mains that we couldn’t manage a desert each but enjoyed every mouthful of the lemon tart with raspberry coulis that we shared. All of this was accompanied by a very good bottle of Rioja, well-chosen music to eat to and a pleasant bustle from the other tables in the restaurant. The theme of noteworthy interior design carries on with gusto in the bedrooms upstairs. Each of the six rooms is uniquely and meticulously styled. All are modern, warm, stylish and fun, with high-quality fabrics in beautiful bold colours. Our room had petrol blue walls with found photographs and curiosities in vintage frames, an exceptionally comfortable king-size bed and a striking octopus painting above the bed referencing our location directly beside Falmouth’s historic harbour, of which we had a truly captivating view. We relaxed in our aesthetically pleasing surroundings with easy to access Wi-Fi, well-stocked tea and coffee tray (with takeaway coffee cups!) and a newly fitted shower room complete with Orla Kiely toiletries and the inspired addition of floor-level night lights activated by the opening door. After a great night’s sleep in a comfortable bedroom, it was back downstairs to the panoramic views of the dining area for breakfast, where we were delighted to smell fresh coffee and witness the morning sun streaming across the wooden floor and twinkling on the glassware. We ordered eggs florentine and a chorizo, avocado and tomato dish, both of which were delicious and came in portions large enough to sustain even the hungriest traveller well past lunchtime.